The Mizuno JPX-EZ iron set delivers explosive distance and allows players to fire at the pin with Mizuno’s most forgiving club head design. This iron combines Hot Metal face design and the Power Frame Dual Pocket technology for a massive sweet area, effortless launch characteristics and excellent forgiveness. 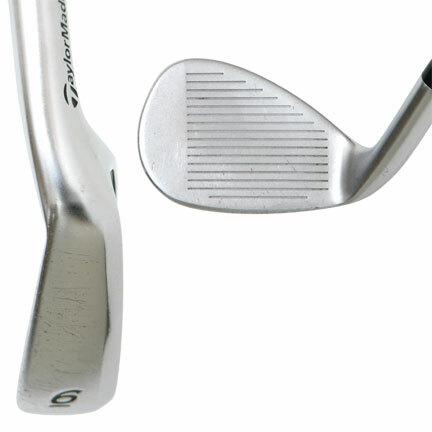 This iron set also features Harmonic Impact Technology (H.I.T. ), a reinforced cavity frame which is feel and sound tuned for incredible feedback and a deep center of gravity for effortless launch and flight. The JPX-EZ iron set has a Black Ni finish to reduce glare and give them a sleek bold look. Have the same set only they are from 2013. Can I used this for a trade in to upgrade? Can you please provide more specifics about the orochi graphite shafts? Are they 70g or 90g shafts? The regular flex is the 70 gram shaft. These are the 2016 model. I am 65 and play a couple of times a week. I’ve played several different brands of irons during the last 6 years and liked them all but concluded the 2014 JPX EZ with graphite shaft to be the best performing for my swing (70-75 mph for irons and around 90 for driver). I’ve found them to be the longest and most forgiving iron for me. I liked the new look of the 2016 JPX EZ better than my current ones and tested them as soon as they became available. I ordered a custom set from Global Golf and was very pleased with how easy the process was. I particularly like the many options Mizuno offers without an upcharge. I received my irons directly from Mizuno within 10 days. I’ve played 2 rounds with my new irons and their performance has exceeded my expectations. I conservatively estimate I am ¾ to 1 club length longer with equal to or greater forgiveness compared to my previous irons. I ordered the new irons with the same custom specifications as my previous irons with the exception that I changed from a SR (stiff regular) graphite shaft to a Regular one. I was previously fit with the SR because of a fast transition from the top but have been working to try to put more speed into my swing closer to the impact zone. I don’t know if it is the more flexible shaft, the redesigned club head, or a combination of both; but, there is a very noticeable softer and hotter feel to the ball coming off of the club head face. Looking down at address I really like the Black Ni Finish and that the head does not look as “chunky” to me as the old JPX EZ did. If you are looking for a game improvement type iron, I highly recommend you give this one a try. 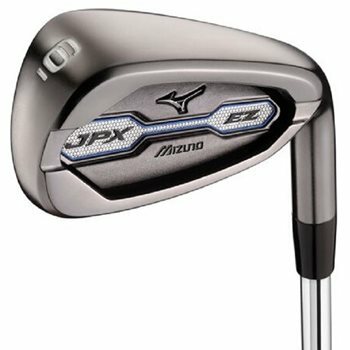 I ordered these irons because I always wanted a set of Mizuno and the reviews on these were great. I ordered the irons not expecting them to LOOK new. Also I read some reviews online stating that the heads were large. They are not and look well behind the ball. Great service from global golf. I own stiff 4-GW and love them. Sound is more pure than the Ping GMax which is same category. I hit them straight and have gained probably 15yds per club off my ole 90s set of irons. Previously played the EZ 2013 irons and I really liked that set. Bought these used from GG, and these were in great condition. After researching this iron set on the internet before buying, this set would be even better than the 2013 model. After a month of practice and play, these irons are the real deal! Another great set of irons from Mizuno. 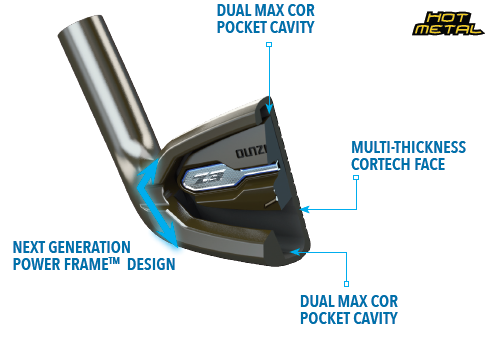 The Mizuno JPX-EZ iron is packed with distance and forgiveness. The Hot Metal design features a dual pocket cavity and a multi-thickness face that provides fast ball speeds delivering some of the longest iron shots you’ll hit. The Power Frame design provides the stability for the pocket cavity while also providing extreme forgiveness for shots stuck anywhere on the face. The Mizuno JPX-EX iron also has an anti-glare black nickel finish that’s easy on the eyes. 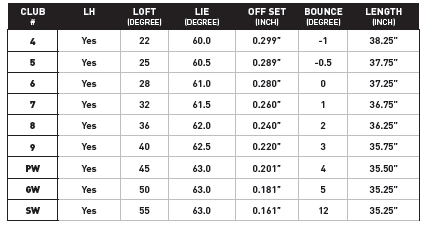 The Mizuno JPX-EZ irons are available in four through pitching wedge, GW, and SW. There are numerous custom shafts to choose from, but the JPX-EZ irons will have the True Temper XP95 as the stock steel shaft and the Orochi as the stock graphite shaft. Learn more about the Mizuno JPX-EX irons here.